A is a full, independent report, covering an overview of the glazing, advantages and disadvantages. There is also a chart comparing the thermal effectiveness of glass (both 3mm float and 4mm toughened glass), polycarbonate and plastic film, and what glazing products to avoid. Enjoy. Glass has been the preferred traditional glazing because of its permanence and beauty. However, glass is one of the least efficient materials for retaining heat due to its high heat transfer rate (i.e. allowing the cold temperature to transfer though the glass very easily) and poor insulating characteristics. Greenhouse manufacturers offer a range of glass grades but we recommend you avoid the 3mm float glass as it is extremely dangerous due to its brittle, fragile and unforgiving nature. If you've made up your mind that glass is your preferred glazing then we recommend you opt for a 4mm toughened safety glass. Although it's more costly it does provide slightly better thermal efficiency than the 3mm float glass, and will more than likely last a lot longer due to its strength and durability, while still providing you the traditional clear glass look that you want. As glass is significantly heavier than other glazing alternatives, the greenhouse frame will obviously need to be substantially stronger and designed specifically for glass. "As glass is significantly heavier than other glazing alternatives, the greenhouse frame will obviously need to be substantially stronger and designed specifically for glass"
Polycarbonate (Twinwall) UV treated polycarbonate provides better clarity than Polyethylene film and nearly as much as glass (at about 89% clarity). It is also significantly stronger and more durable, making it a practical and increasingly popular choice for today's greenhouse growers. Polycarbonate twinwall has a double layered configuration, separated by flutes. This provides a double glazing effect and improves the thermal efficiency of this product. 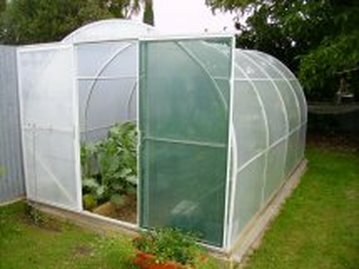 Domestic greenhouse manufacturers often use a 6mm Polycarbonate twinwall glazing, while commercial greenhouses are commonly being constructed using 10mm, 16mm or 20mm twinwall or tri-wall polycarbonate. 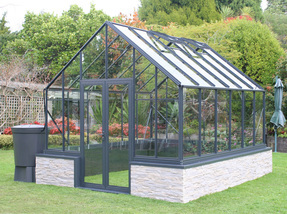 If polycarbonate twinwall is your preferred glazing, make sure the greenhouse frame is designed to accommodate the panels securely, ensuring they won't blow out and are sealed around the edges to maximise the thermal efficiency of this glazing product, and also keep the moisture, mould and bugs out of the inner cavity. 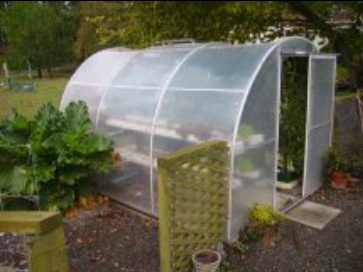 When choosing a greenhouse that is glazed with Polycarbonate twinwall ensure the supplier is providing quality polycarbonate from a reputable supplier. From our experience we find Polycarbonate glazing from Europe, the USA or Israel is of a very good grade and lasts very well (16 to 18+ years) in New Zealand and Australian conditions, however polycarbonate sheet coming from China is failing very quickly and usually requires replacement within two years. The flutes in the twin-wall can attract moisture, mould and bugs - if not sealed sufficiently in the frame. There are various grades of polycarbonate and not all polycarbonate is created equal. 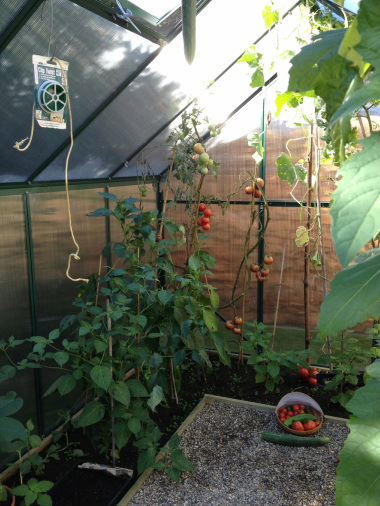 If you are considering a greenhouse that has polycarbonate glazing then make sure the polycarbonate is made from new raw-material and not recycled material, as this has a huge impact on the life of the polycarbonate. Also ensure the polycarbonate has UV protection as it will prematurely fail if this has been overlooked. You can be assured that when you buy a Winter Gardenz Greenhouse it is glazed with a premium grade, Bayer polycarbonate that is made from virgin resin with UV protection on both sides. This glazing will last you 15-20 years before placement is required. 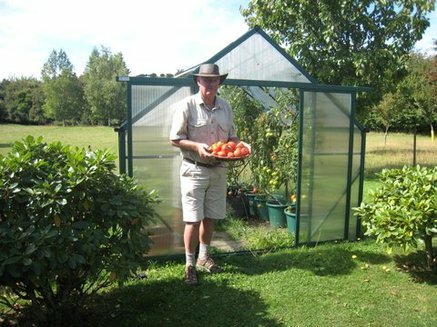 "You can be assured that when you buy a Winter Gardenz Greenhouse it is glazed with a premium grade, Bayer polycarbonate that is made from virgin resin with UV protection on both sides. This glazing will last you 15-20 years before placement is required"
Polyethylene (plastic) film - sometimes also known as 'Poly-film' or 'AgPhane', this film is common among commercial growers due to its low cost per square meter. It is a versatile product and can handle the knocks without easily breaking although it can be susceptible to tears and punctures. 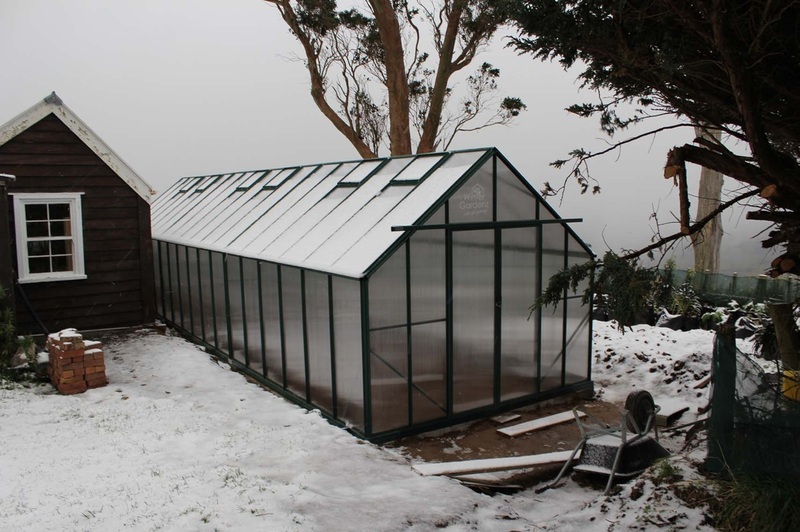 Most commercial growers in colder climates choose to use a double layered system (with warm air blown between the inner cavity) to provide better thermal insulation, as polyethylene film has poor heat retention properties when compared to polycarbonate or even glass. Polyethylene film does not last as long as other coverings and you will need to consider replacement in 3-5 years. The film will stay intact for much longer than this period but the clarity of the film changes (turns opaque) and the amount of light and colour spectrum is significantly restricted after this time, which will affect the success of your plants growth and development (particularly ripening tomatoes). Polyethylene film is typically used on half-round frame structures commonly known as tunnel houses. If you are considering a tunnel house ensure the frame is strong enough to withstand the conditions in your area (i.e. wind and snow), and has an adequate system to remove and re-fasten the film when replacement is due. Note: There are significant variations in the quality of polyethylene films. They are available in different thicknesses, and we would suggest 200-micron film would be the thinnest option. 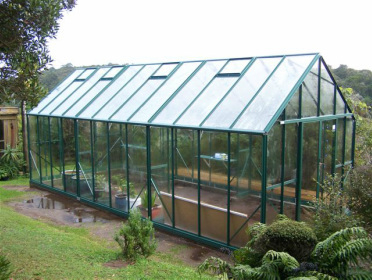 Cheap, thin films sold in some hardware stores are generally unsuitable for greenhouses as they often aren't UV stabilised and deteriorate rapidly when exposed to the environment. Poor thermal efficiency (R=0.83), unless double skinned. "Polyethylene film is typically used on half-round frame structures commonly known as tunnel houses. If you are considering a tunnel house ensure the frame is strong enough to withstand the conditions in your area (ie wind and snow), and has an adequate system to remove and re-fasten the film when replacement is due"
The 'R' Value is the common unit of measure for the effectiveness of thermal insulation. The larger the number, the higher the insulation value and therefore the better heat retention. Acrylic plastics, such as Perspex. This does not last when exposed to UV, and usually shows signs of deterioration within 2-3 years. Cheap imported Polycarbonate and polyethylene films. Usually made from inferior grades of materials (such as recycled plastics, re-grind, etc...) and sold as new material. Typically film or polycarbonate sheets made from these low grade raw materials will not last more than two years in New Zealand and Australian conditions, (despite what some greenhouse importers promise). You get what you pay for! Our advice to you is to make sure you buy a premium grade of glazing from a company with a reputable brand. 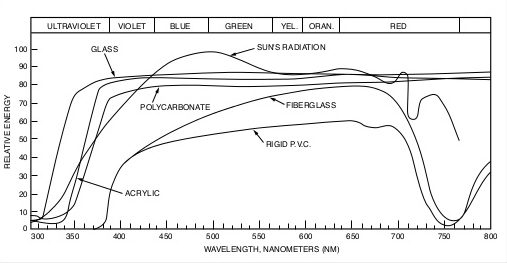 Spectral transmittance of selected rigid greenhouse covering materials. 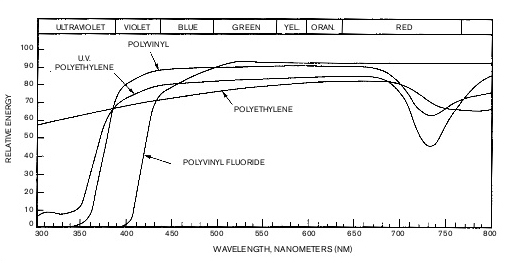 Spectral transmittance of selected film greenhouse covering materials.